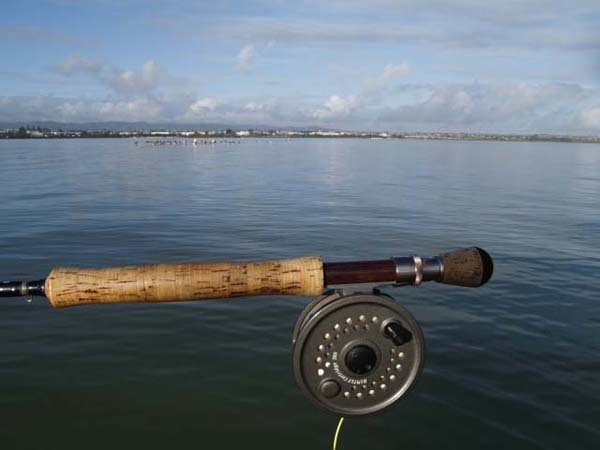 Since I don't do too much sea fishing in the winter these days (although perhaps I should as some of my pals have been catching bass on lures almost up to Christmas) I thought you might like to hear a bit about fishing in the antipodes. Mark Hoffman lives in NZ and we occasionally exchange emails about fishing topics. 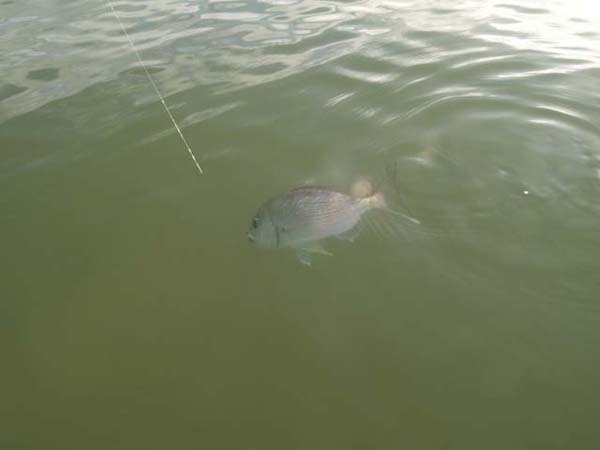 Recently Mark sent me a short account of his attempts to catch red snapper on the fly. I find it absolutely fascinating so perhaps you will too. Continuing to enjoy your site. Down here it's into the height of summer and been getting into the saltwater flyfishing again now the water temps are up. Thought I'd share some pic's of a recent session I had with some red snapper (a bit like your bream I believe) in the local harbour shallows. 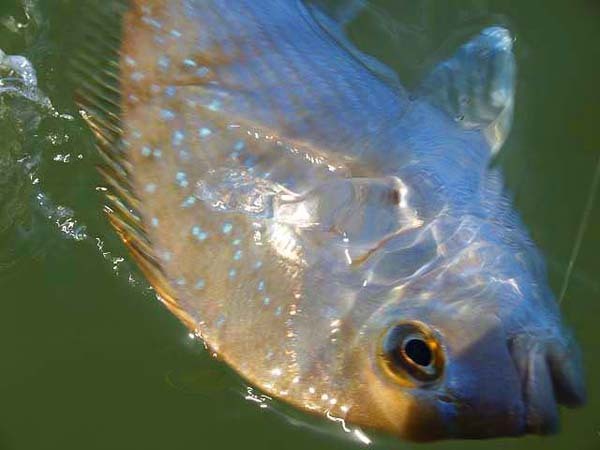 Snapper are usually a deeper water fish but in summer the juveniles especially will enter the estuary flats. I was wading in nice warm water (am I jealous? 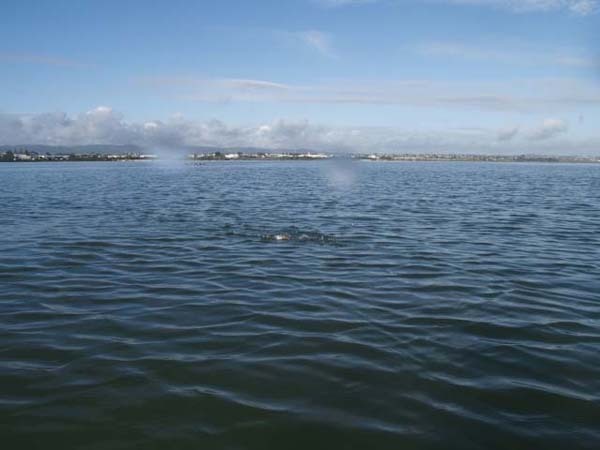 I’ll say I am) about waist deep at 7am and found a school in a bit of a channel between sandbanks. 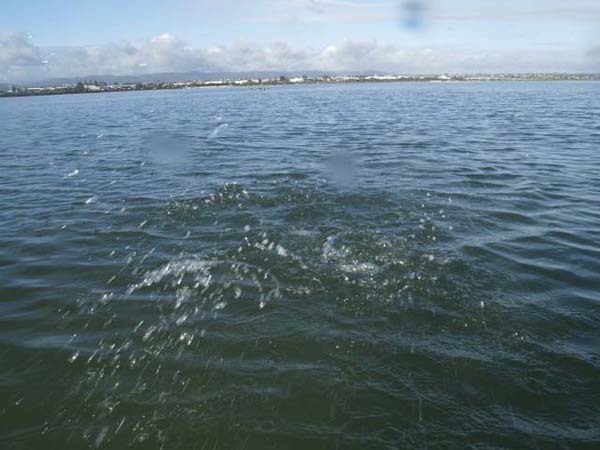 I hooked half a dozen in next hour before lost contact with the school - they are terrific fighters in shallow water. I used my stripping basket as a landing net - the fish lay in it quite calmly for unhooking which made life a lot easier. Good fun on my 9ft 7 weight, and a floating line as the water is only about 2 metres maximum depth. 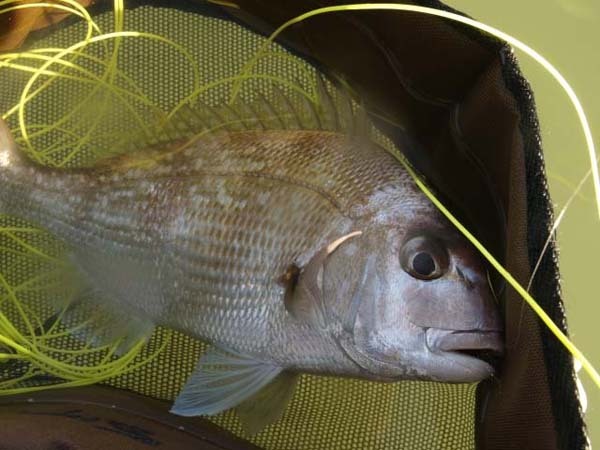 I must say my "flats session" with these snapper is apparently a bit of a "first" down here in salt water fly fishing terms judging from reactions from local anglers. 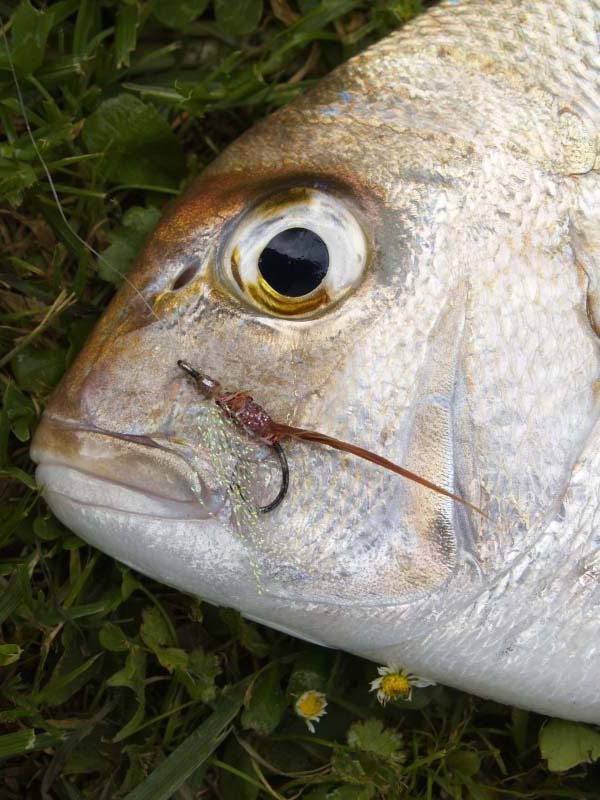 Salt water fly men down this way are rather envious of your mullet on the fly – only one NZ angler I know has managed to deliberately hook one grey mullet (about a 30cm specimen) on a "weed" fly after 5-6 years trying , and none since then over a year ago! The place where I caught my snapper often has mullet (you often see kilo plus specimens leaping)but they have totally eluded my efforts so far. The great thing about the snapper is that they are the tops as far as eating goes, selling for $25/kilo, so a couple of keepers came home with me and I'm in the wife's good books for a while now for some more fishing! Interesting eh! I have to say that I fancy trying for those snappers on the fly. As for mullet they seem to be just as difficult the world over. I don't know what species the ones in Mark's neck of the woods are but unless he can find them feeding on maggots, or lice or some other 'particle' I think the chances of a decent bag are slim. Perhaps feeding with floating bread or dog biscuits and casting an imitation (or a real one?) might do the trick.